That’s now changing. 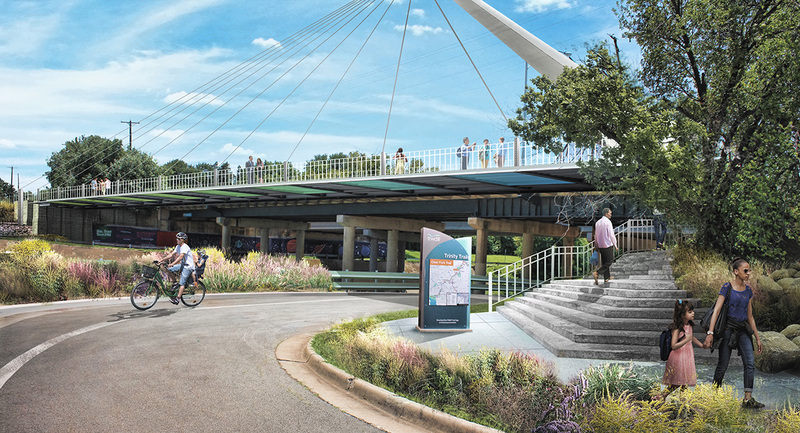 The new Master Plan will guide the river back to the future as a world-class recreational amenity, revitalized natural resource, vibrant gathering place, and economic development driver for the Fort Worth region. 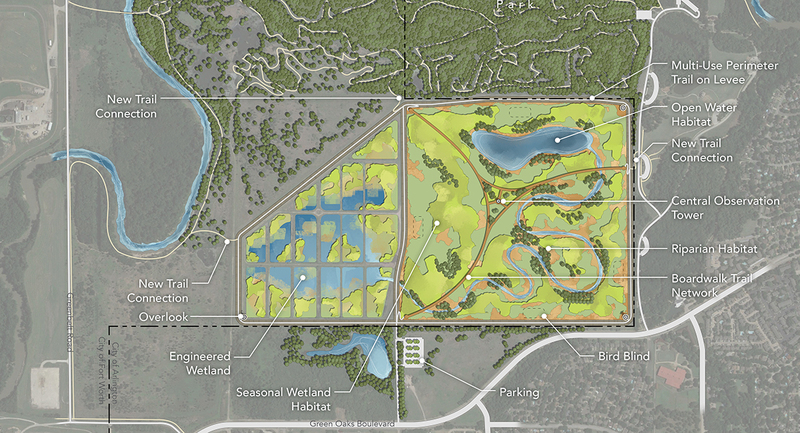 Developing the Plan required a team encompassing urban design, land use planning, ecological/habitat restoration, trail and park planning, flood control and water quality. And it involved The River Partners (Fort Worth, Tarrant Regional Water District and Streams & Valleys), the North Central Texas Council of Governments and various non-profits and advocacy groups all working together. 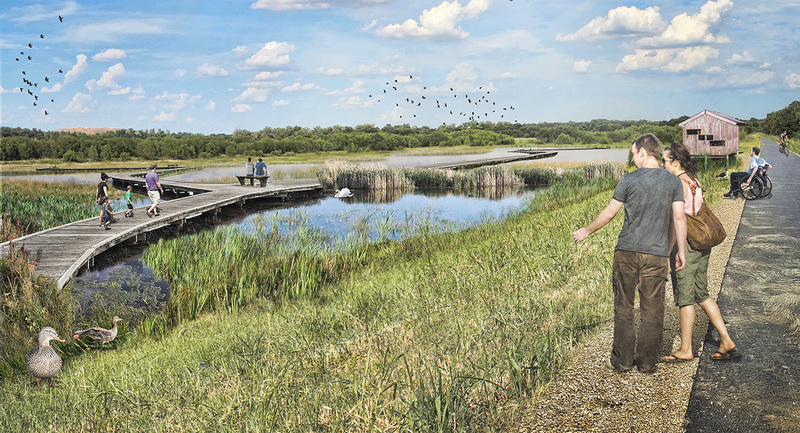 The Plan includes an implementable set of policies, programs, and projects to improve the river system’s waterway and trails, ensure adequate flood protection, restore natural habitat, address health equity, and foster community cohesion. 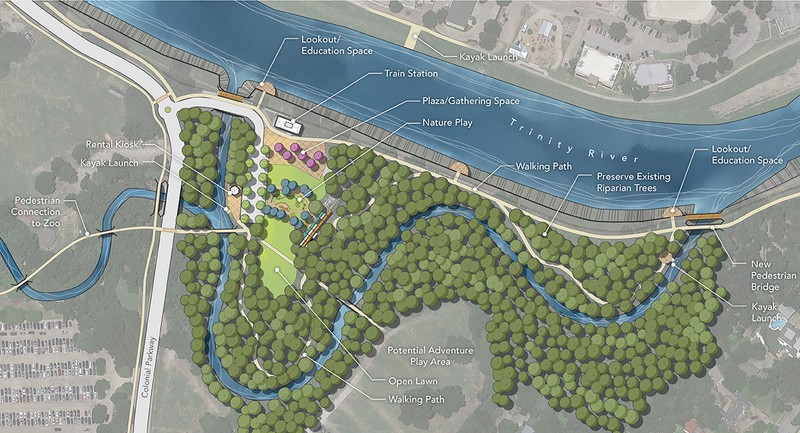 And Fort Worth isn’t waiting for the Plan to be bound and published—it’s already working on one of the priority projects: a new kayak loop and nature education center! 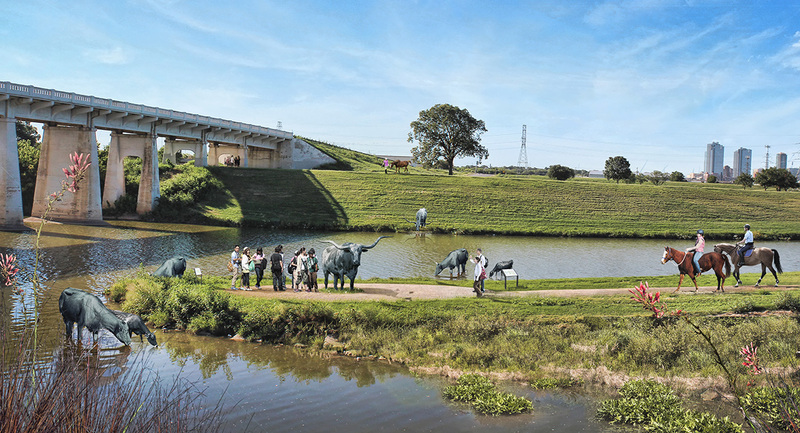 View the Trinity River Revitalization video here.